Tell us one thing on your ‘Someday’ list. 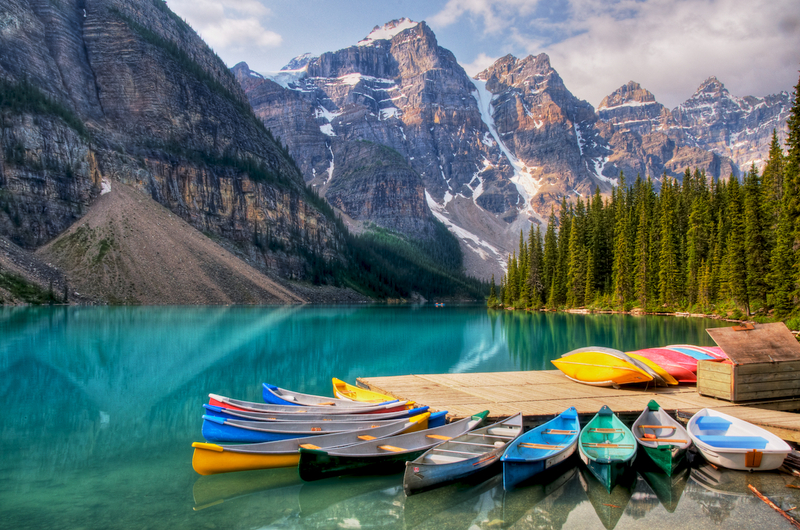 Someday I want to go to the west coast, rent a van and road trip from California to Moraine Lake in Canada. My fiance Val is such a nice, sweet person…but sometimes she has an alter-ego (usually when she’s hungry). This alter-ego makes inappropriate jokes and then looks at me with a straight face and says “I’m funny”. Makes me laugh every time. Do you have a creative muse? Listening to movie soundtracks: When listening to epic tracks it makes me work faster. The constant switch of genre helps the music stay fresh. Clean and inspiring environment: Keeping candles, plants, and an inviting/clean work area makes everything better. Working around 4am: No updates on social media or friends to talk to. The world is asleep which means there are a lot less distractions. I embrace it like a challenge. There are a ton of quotes from successful people about failure breeding success and it’s true. If you are determined to do great work, failure helps. What’s the best creative advice you’ve ever received? Keep pushing it. Everyone has heard it, but in the fast pace advertising world it is often forgotten. Sometimes there isn’t enough time to keep pushing, but that’s just when you have to make time for it. What do you think Orlando needs most? I love Orlando. It bothers me when people say “There’s nothing to do in Orlando”. Granted it is not a big city, but there are still a lot of things to see and do. With the people standing behind Orlando and developing all these little communities, the culture will thrive. Places like Audubon Park and the new East End Market, Mills Park, the Antique District, Thornton Park, SoDo, Downtown and College Park are contributing to Orlando’s need already. Awesome job Lee! Love the Homebrew banners!